I recently had the privilege of working with a fantastic non-profit called Read To Me. They encourage mom's to share the joy of reading books to their children from the very beginning by delivering books in the hospital right after delivery. It is not a secret that I LOVE children's books and so I absolutely could not resist when it came to helping out with some design needs. 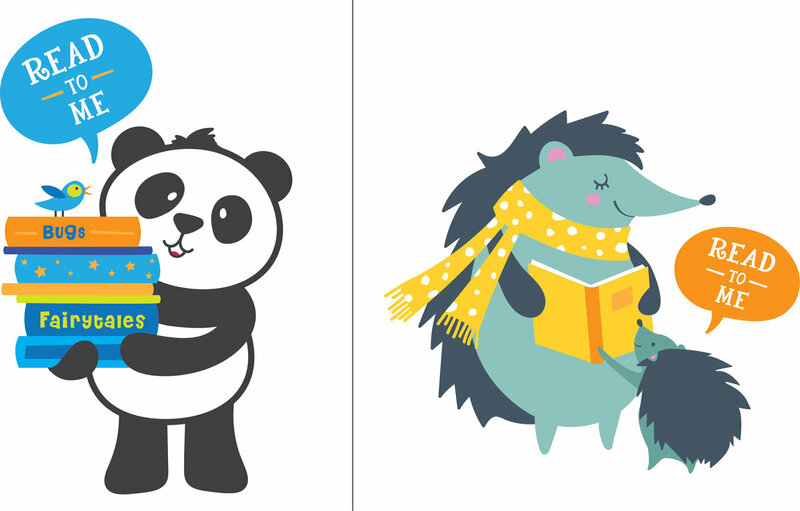 One of my favorite of the designs I created for Read To Me was creating some fun and cute images to possibly go on a t-shirt. I just can't help and look at these illustrations and smile. 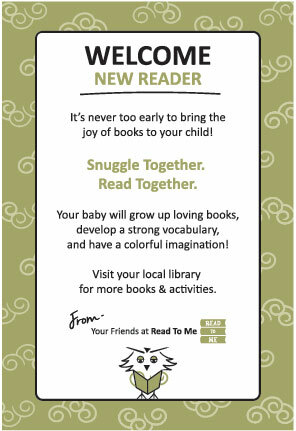 Makes me want to go grab my daughter and snuggle up together with a great book. Read To Me just need a little bit of help with their message to moms. It is amazing how so many people have all the right pieces but just need a bit of help to fit them all together. I had so much fun reworking their Welcome Note included in the book bags for the moms. One thing was missing a SIMPLE MESSAGE. Sometimes a paragraph or more is just too much. So that is when ( READ TOGETHER. SNUGGLE TOGETHER. ) was created! So I was perusing Martha Stewart's website for great Easter ideas and ran across these great basics on egg dyeing and thought I would share. This week most of us will be attempting to dye Easter Eggs with the family and although it really isn't that hard, it is always great to see if others have great tips. I love Martha's drying technique. I have always just put my eggs back in the egg carton to dry and dealt with little dry spots all over my eggs, but her idea of drying them on a sheet of pins is a brilliant tip. Click here for Martha's Egg Dyeing 101. Happy coloring everyone! Saint Patrick's Day is almost here and I thought I would share some fun picture books for last minute reading before this fun green day. For a PDF, click here. 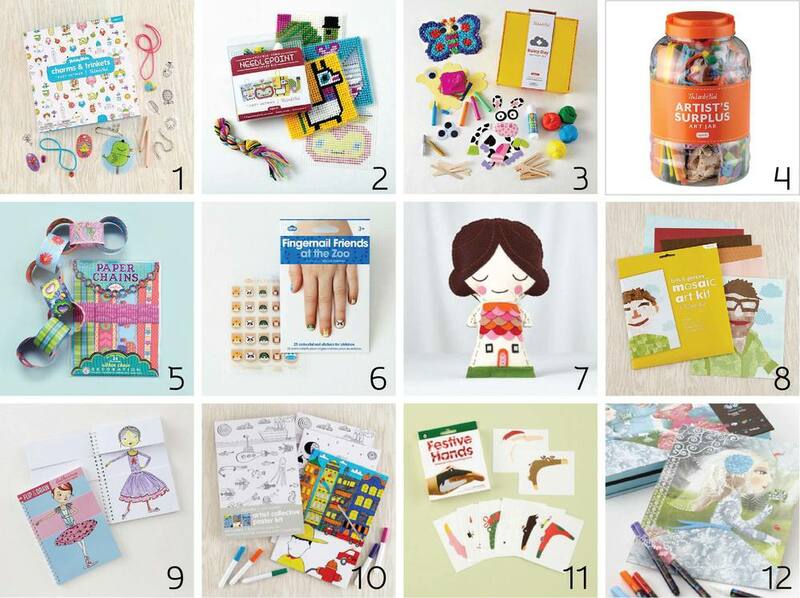 I am always on the hunt for super unique and fun kids arts and crafts. When I was expecting my daughter 6 years ago I was introduced to The Land of Nod. And well, I fell in love instantly with this store and wished I could buy everything they had to offer. So of course, I still get their seasonal catalogs in the mail. I just recently received the March 2014 issue and stumbled upon a page in regards to rainy day crafts. Well, I of course could not keep these great finds to myself so I thought I would highlight my absolute favorite arts and crafts that The Land of Nod offers. These fun crafts would make great gifts for Easter or any holiday, Birthday gifts, snowy or rainy day to do's and even great activities for summer (which will be here in a few short months I am happy to say). Happy shopping! 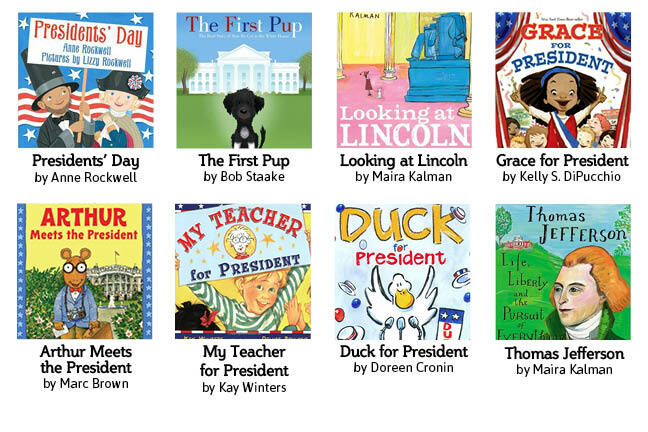 President's Day is coming up in a week and it's not too late to head to the library and check out some books to help kids understand what being the president is all about and why we celebrate President's Day. Have fun exploring. For a PDF version, click here. Typography Puzzle For Toddlers or Adults? I saw this on Etsy and fell in love instantly. Looodus has created a wooden puzzle in different types of font. The puzzle is supposed to be for young kiddos....yet I think it would be best used for Graphic Design and Art Students and my old brain for that matter. LOL!